Tweet I'm not an expert baker but I have taken interest since my daughter turned two. 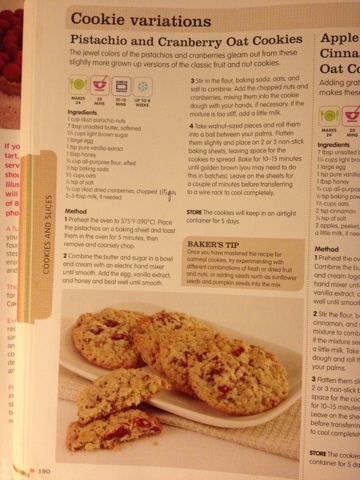 It is always nice to know some easy recipes which are fool-proof and often successful (and easy to do). 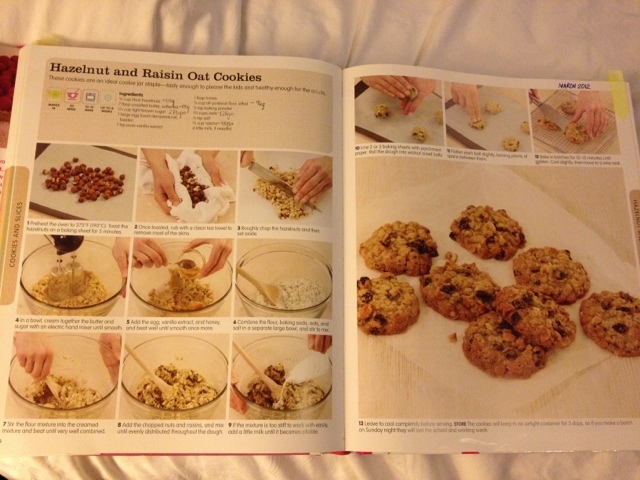 After investing on a baking cookbook which I bought from Kinokuniya, I tested its oatmeal cookies recipe with delight (and happy with results). Several tests of it proved to be easy and tasty. Daughter and husband very satisfied, including some colleagues at work! 1. On a pan, I toast the pistachio and walnuts to have that roasted smell and taste. After around 2-3 minutes you can take it out then use pestle and mortar to make into small pieces. Prepare your oven and pre-heat at 190C. 2. In a bowl, cream together butter (room temp or I microwave lightly to soften it) and sugar using electric mixer until smooth. Afterwards, add in vanilla extract, honey and egg. Beat well until smooth. 3. 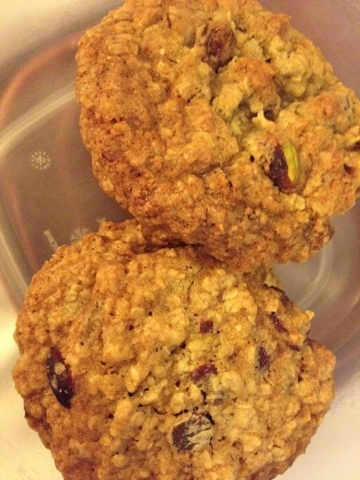 In another bowl, combine flour, salt, baking soda, and oats. Stir to mix all of it. 5. Line baking sheets on pan. Roll the dough into walnut-sized balls. Flatten each ball slightly, leaving plenty of space between (bec these will flatten out once baking process). Ps. Those who are living in KL, I was able to buy all ingredients in Village Grocer. For the walnuts, I discovered It is cheaper to buy at the market TTDI. This looks like a good book for a wedding gift. 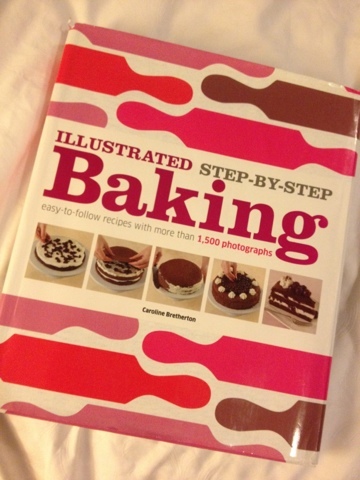 I am making a hamper of baking paraphernalia and wanted to include a good all-round baking guide and this might be it. Thanks!